I had this email from a friend of mine and she doesn’t seem to be the only one having this problem at the moment. I am about to do a permaculture course in the mountains which will be great. Just a query about Bees. 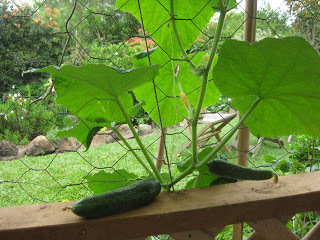 My Zucchinni and cucumbers are not fruiting so the nursery lady advised me it was probably because of lack of bees. I grow roses nearby and have marigolds in the verge garden with all my gums around but still not enough bees. Dear Ginny, Flossie might have some answers for you – she knows about the birds and the bees……………. 1. You won’t see many pollinators around if it’s raining. 2. The bee people tell me there are just not that many foraging bees around at the moment. This could be just a seasonal thing or a more concerning problem of loss of habitat or use of herbicides and pesticides. 3. 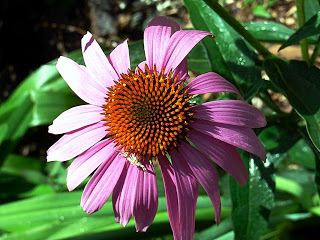 You can help by planting bee attracting plants with a mixture of natives and exotics. Good natives for Sydney seaside are Leptospermum, Melaleuca, Grevillea, Eucalyptus and Kunzea etc. 4. As well as having quite a few shrubby natives around (well it is Mullumbimby!) 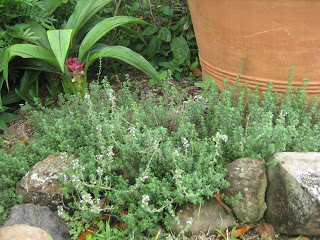 I have a lot of flowering herbs that set the bees humming like thyme, rosemary, mint, oregano, marjoram, tarragon etc. 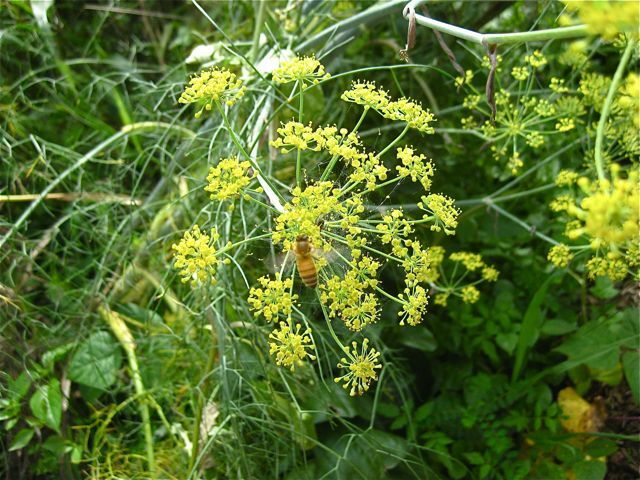 It’s also worthwhile letting annual herbs like parsley, fennel, dill, coriander and basil go to flower – the bees love it (and then you can collect the seed). It doesn’t need to be every plant – just one or two – and they look fabulous giving that romantic cottage garden effect. One of the top ten plants for attracting bees is lavender – too wet for me to grow up here, but great for your Sydney coastal garden. My favourite bee plant is the one Flossie is standing under – Gaura – it is always alive with pollinators and is so pretty in a native and cottage gardens. This is the pinky/white form but it also comes in dark crimson and once you plant it you will always have it – it just keeps popping up every spring and then I move it to where I want it. 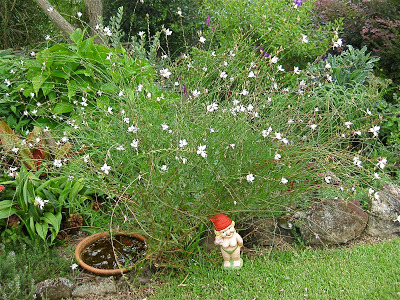 NOTE: Gaura has become weedy in some parts of Australia and nurseries, in those area, cannot sell it. 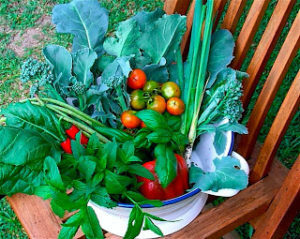 I believe many of the plants that we love have potential to become weeds and it is up to us to be responsible caretakers of this planet – keep as much green waste as you can on your own patch – mulch it, compost it and recycle it. The way to deal with invasive plants and weeds is to either bury them in a deepish hole or steep them in a large bin of water – let them rot then pour it on the garden. 5. Great companion plants and pollinators for the vegie garden are annuals like zinnia, cosmos, echinacea, alyssum – marigolds are great as a fumigant for the soil (deterring harmful nematodes – click here for information about soil nematodes and marigolds) but I don’t actually see many pollinators buzzing around them. 6. You can also ‘play the hand of god’ with any of the cucurbit family (zucchini, cucumbers, pumpkins etc) and pollinate them yourself. 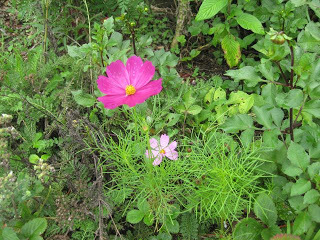 These plants have individual male and female flowers on the same plant (usually) – easy to pick once you have a look. The male has a sticky out bit (pistil with pollen) and the female is beautiful and curvaceous (stigma and ovaries) ! You can just pick a male flower and go around hand pollinating all the females. I thought this would be a fun activity for the children to do but the questions gave Nanma a headache! Lack of fruiting is a common problem with this family and hand pollination has been, and still is, a common activity for gardeners – and probably your best short term solution.